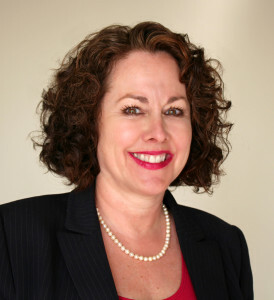 Santa Monica-Malibu Superintendent Sandra Lyon has been selected to join the Suburban School Superintendents (SSS), a prestigious national organization dedicated to improving the quality of schools. The SSS, founded 49 years ago, is limited to a 150 active superintendents from the pre-eminent suburban school districts throughout the country and strives to improve the quality of educational opportunities, programs and services for children, staff and parents in member districts. By pooling ideas and information from its membership, the organization works collaboratively to solve issues facing schools nationwide. Students from Santa Monica High School have achieved the perfect trifecta, receiving the top three prizes in the seventh annual Sustainable Santa Monica Student Poster Contest for their artistic expression, creativity and interpretation of this year’s theme “Do More to Use Less.” Advanced Placement Environmental Science students Valerie Young, Yanjun Li and Anastasia Khromova were awarded grand prize, second place and honorable mention for creating posters that addressed the question “How can you raise awareness about the drought and cut back water use by 20 percent?” The Samohi students were recognized at the Sustainability Student Poster Contest Awards Ceremony and Celebration on May 27, hosted at the Annenberg Community Beach House. Some 350 seventh-graders at Santa Monica-Malibu Unified’s Lincoln Middle School were interviewed by professionals and community members this week on the theme, “What is a Worthwhile Life?” as a way to prompt the students to reflect on important decisions in their academic and personal futures. In its 24th year at Lincoln, the year-end Worthwhile Life interviews connect students to cross-curricular topics and themes encountered throughout seventh grade. 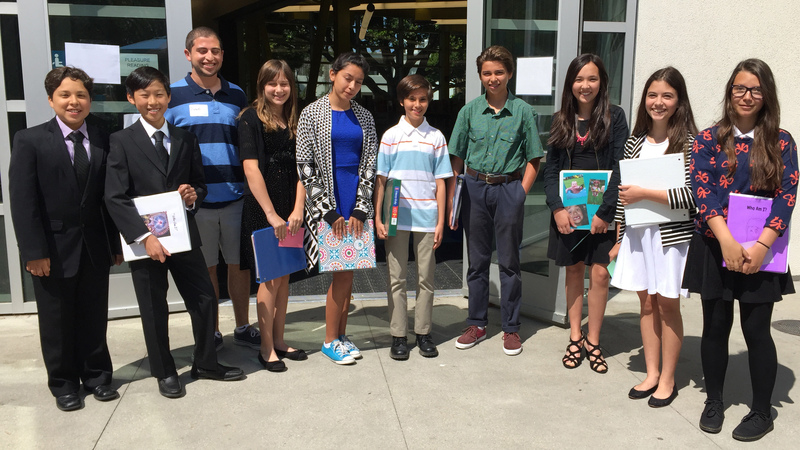 The students were interviewed for 15 minutes on May 21 and 22 by 50 local college professors, Rand researchers, former teachers and students, local business people, and Santa Monica-Malibu Unified administrators and board members, among others. Santa Monica-Malibu Unified School District operates 10 elementary schools, three middle schools and three high schools, in addition to adult education, preschool, career technical training and alternative schooling programs. Follow-up Story: Willow Elementary School sixth-grade teacher Elizabeth Gomez was named Max Out My Class Teacher of the Week on April 11 by 105.7 Max FM and Mission Federal Credit Union. Gomez has taught at San Ysidro School District for 13 years, spending six of those years at Willow Elementary. Lincoln Middle School eighth-grader Danial Asaria brought home his third national chess title after dominating competitors at the National K-12 U.S. Chess Federation Championship in Florida in December. The tournament hosts nearly 2,000 players in kindergarten through 12th grade. Asaria holds the title of “National Master,” a distinction he earned from the U.S. Chess Federation, and has been a California champion multiple times. Asaria also excels in the classroom, maintaining a 4.0 GPA. While there has been an action taken by Los Angeles Unified School District leaders to close schools out of an abundance of caution based on a threat made specifically to LAUSD schools, the following school districts are in session and are urging parents to send their students to school to maintain instructional continuity: Azusa Unified; Baldwin Park Unified; Bassett Unified; Bellflower Unified; Little Lake City; Lynwood Unified; Montebello Unified; Norwalk-La Mirada Unified; Pomona Unified; Santa Monica-Malibu Unified; Whittier Union High. As always, student safety is the first priority and all standard safety measures will be employed by school personnel. Three Santa Monica High School music students hit a high note when, after years of dedicated practice and passion, they were selected from among thousands of students nationwide to perform with the 2015 National Association for Music Education (NAFME) All-National Honor Ensembles. Amy Amatya, Jack Antich and Glennon Davalos-Stanton will join 673 exceptional high schoolers in one four NAFME ensembles. Amatya, who plays violin, and Antich, who plays double bass, were selected to perform with the symphony orchestra. Davalos-Stanton, who plays the trombone, was chosen to play with the jazz ensemble. Photos are available. Santa Monica-Malibu Unified School District eighth-grade students from Lincoln Middle School’s Student Spaceflights Experiments Program (SSEP) are in the running for an experiment to fly to the International Space Station (ISS). The students conducted original research before crafting Mission 9 proposals for the spring 2016 launch. A team of local educators and scientists will evaluate the SSEP’s Mission 9 proposals Friday, Nov. 6 and Saturday, Nov. 7 at Lincoln Middle School. Using specific guidelines, the review team will select three proposals to advance to Washington, D.C., where one experiment will be chosen to fly to the ISS. Santa Monica-Malibu Unified affirmed plans at its annual convocation held Aug. 18 at Santa Monica High to target the achievement gap between African-American and Latino students and their peers in 2015-16 by strengthening teacher collaboration and training, community ties and student-centered learning. More than 1,500 staff members were inspired by noted educator and sociologist Pedro Noguera, who said staff at all levels needs to communicate effectively across racial and socioeconomic lines to ensure support for students. Newly appointed to the UCLA faculty, Dr. Noguera will conduct workshops with administrators, Board members and staff on ways to boost parent engagement and student performance. Santa Monica-Malibu Unified will host three informational events for parents of 4- and 5-year-olds entering kindergarten or transitional kindergarten (TK) this year. Parents of students enrolled at Edison Language Academy, Grant and John Muir elementary schools, Will Rogers Learning Community (WRLC) or Santa Monica Alternative School House are invited to attend Monday, Aug. 10 at WLRC, 2401 14th St., Santa Monica. Parents of students at Franklin, McKinley or Roosevelt elementary schools may attend Tuesday, Aug. 11 at Lincoln Middle School, 1501 California Ave., Santa Monica. Parents of students at Juan Cabrillo or Webster elementary schools or Point Dume Marine Science School may attend Thursday, Aug. 13 at Juan Cabrillo, 30237 Morning View Dr., Malibu. All events will run from 6 to 7:30 p.m. Light refreshments will be served. Nine Santa Monica-Malibu Unified schools have made the Campaign for Business and Education Excellence (CBEE) 2015 Honor Roll, an award given to high-performing schools where student achievement outpaced that of comparable schools. The Honor Roll comprises two different awards, the Star Schools Award and the Scholar Schools Award. Santa Monica-Malibu Unified’s Franklin Elementary, Malibu High, Point Dume Marine Science, Roosevelt Elementary and John L. Webster Elementary schools made the CBEE Honor Roll as Star Schools. Receiving CBEE Scholar School recognition were Edison Language Academy, John Adams Middle, McKinley Elementary and Will Rogers Learning Academy schools. CBEE is an organization of California business leaders committed to improving public education, closing the achievement gap and helping to ensure college readiness and success. Santa Monica-Malibu Unified graduate Eddie Martin has received a grant from the Rotary Club of Santa Monica to study automotive technology at Los Angeles Trade Technical College. The program – considered among the finest in the field – educates students about advanced computerized diagnostics. Upon graduation, the recent Olympic High School graduate will have received all training necessary to enter the workforce as a fully accredited automobile mechanic. The grant is a combined effort of the Rotary Club of Santa Monica and Los Angeles Trade Technical College.